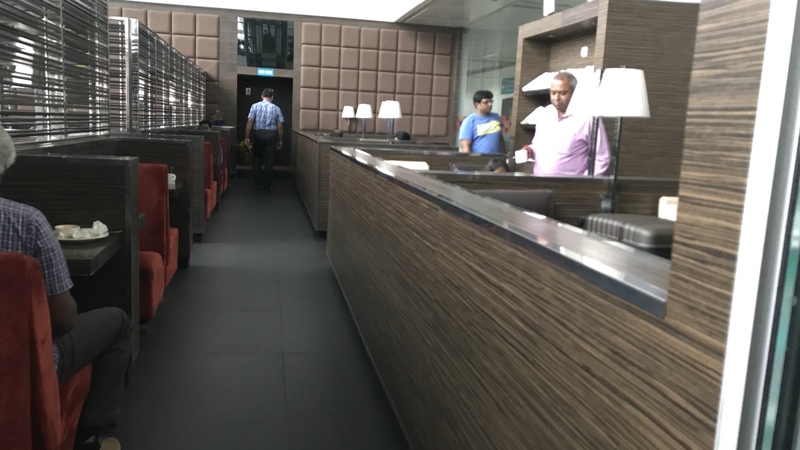 Prior to my flight in Air India’s business class, I decided to use the Plaza Premium Lounge. It is located right next to gate 28, which happened to be my departure gate. 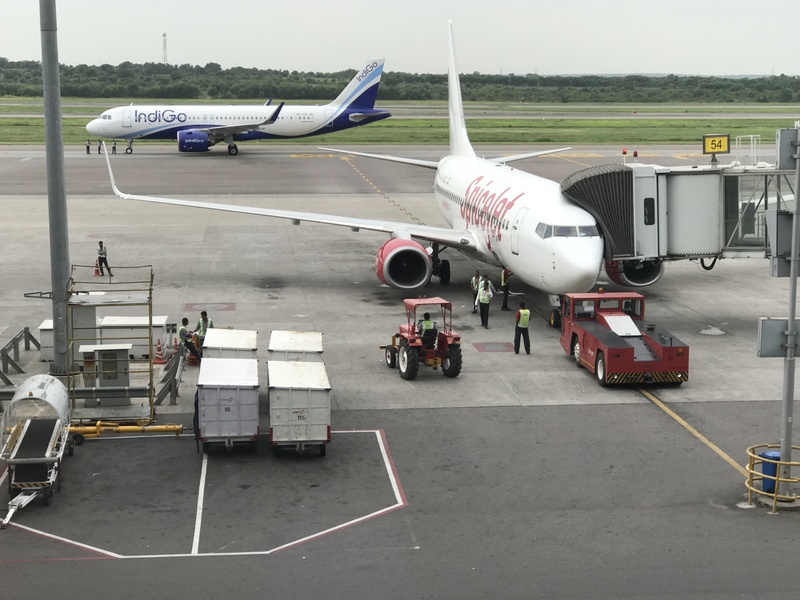 Now before this, I did some reading online to see what lounge access I would/ would not get since there were virtually 0 reviews on Air India’s domestic business class. 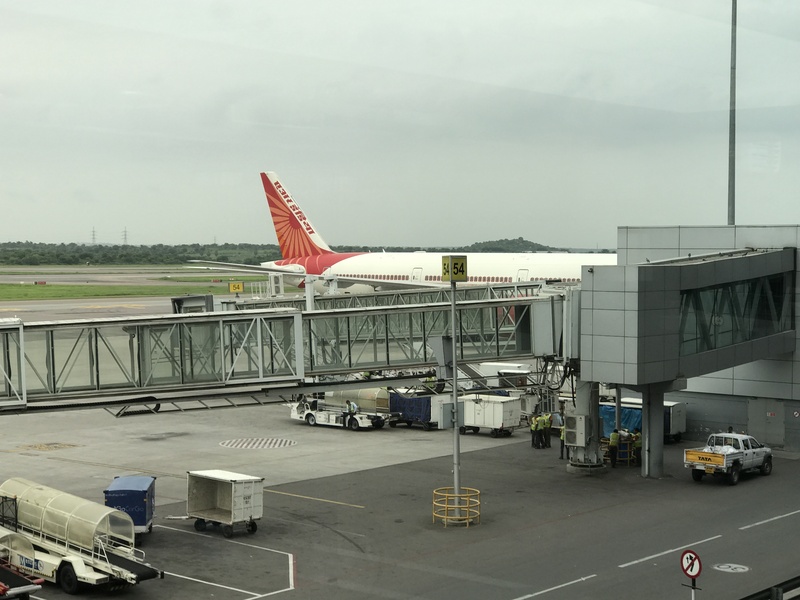 As I had understood from my reading, I thought I would get access to the Air India Maharaja lounge because first and executive class passengers get access, but I realized that the airport that that only applies to international premium cabin travelers. 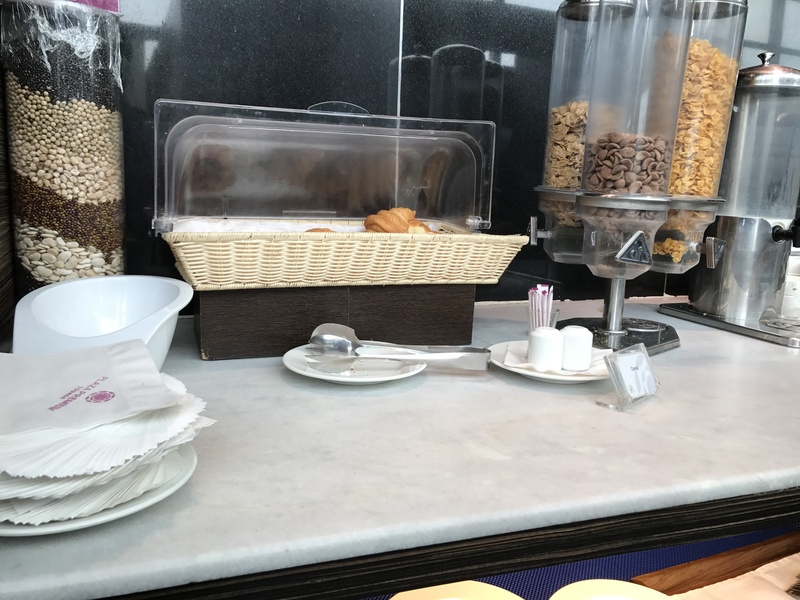 I was technically in “executive class” but because I was flying domestic, it was marketed as “business class” so instead I got access to the plaza premium lounge, which is a downgrade, but for a one hour flight, I certainly won’t complain. 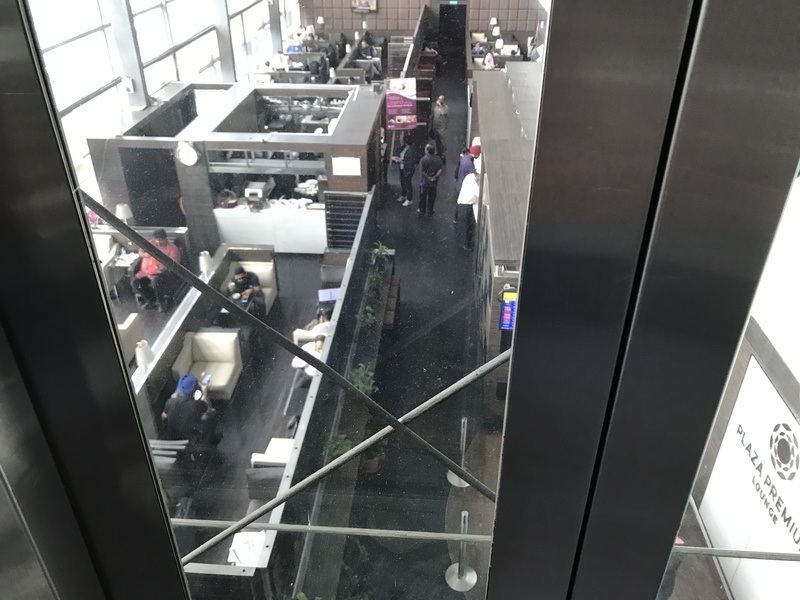 The entrance to the lounge is an elevator which you have to take down to the floor below. Then there will be a desk where the lounge staff members take your lounge card and allow entrance. 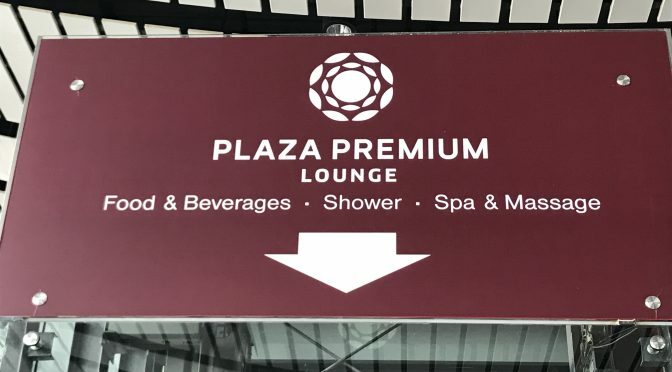 This is also a Priority Pass Lounge, so if you have a Priority Pass membership, then you can access this lounge as well. First thing I noticed was that this was a fairly small lounge. Here is some of the seating that the lounge has. There’s a good balance of couple seats, single seats, and a few group seats. 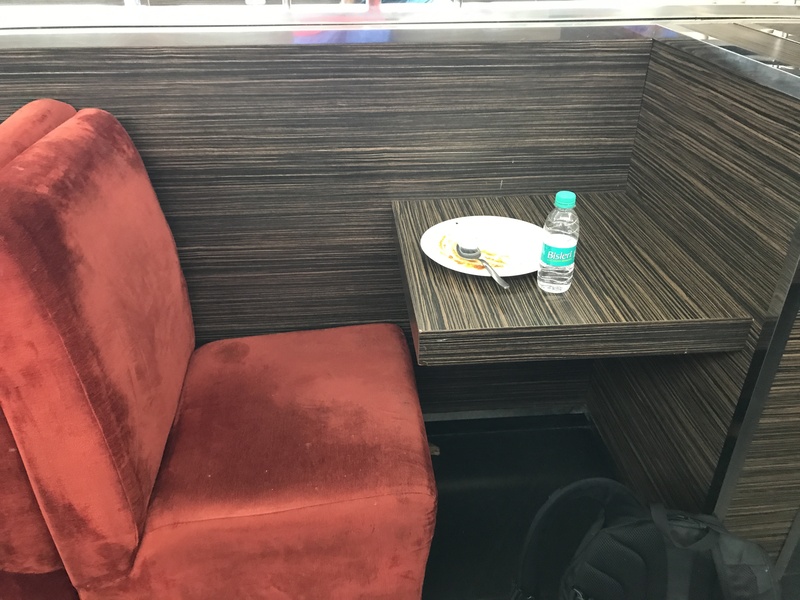 There was enough privacy at the single seats for solo travelers (I’ll have more pictures below). Then here are the food options. 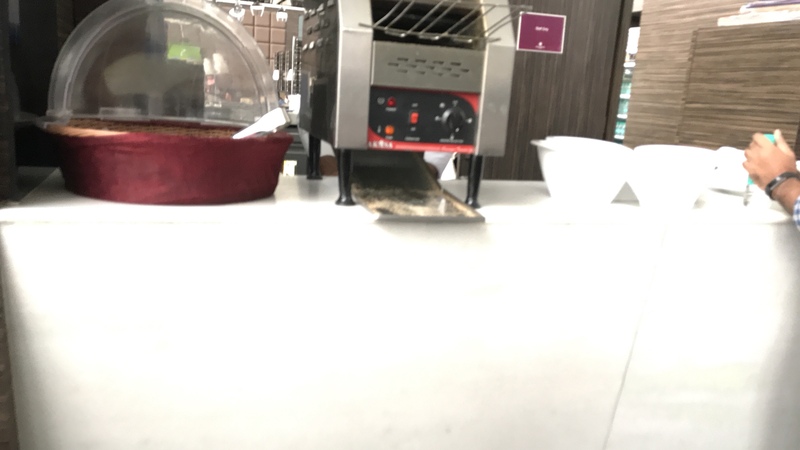 Sorry, this was a bad photo, but this is a toaster and there were appropriate condiments just to the right of the toaster. 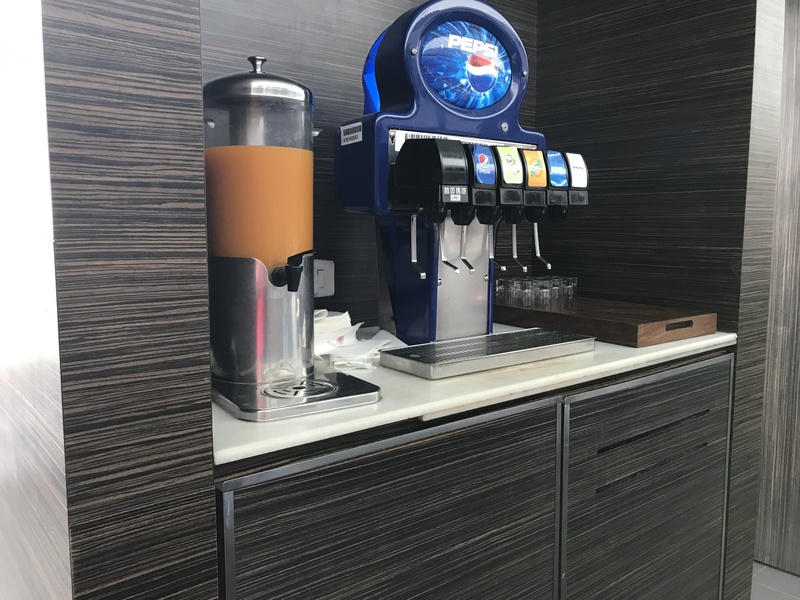 There was also a beverage stand opposite the food buffet. Then here is the other section of seating beyond the buffet. Here was my single seat. As you can see, the privacy was good enough. Ahh, the water bottle reminds me. Before the cereal bar, there is a fridge with a lot of those small water bottles. For those not familiar with India or Indian brands, Bisleri water in India is the equivalent in terms of popularity and use of Aquafina or Dasani water bottles in the USA. 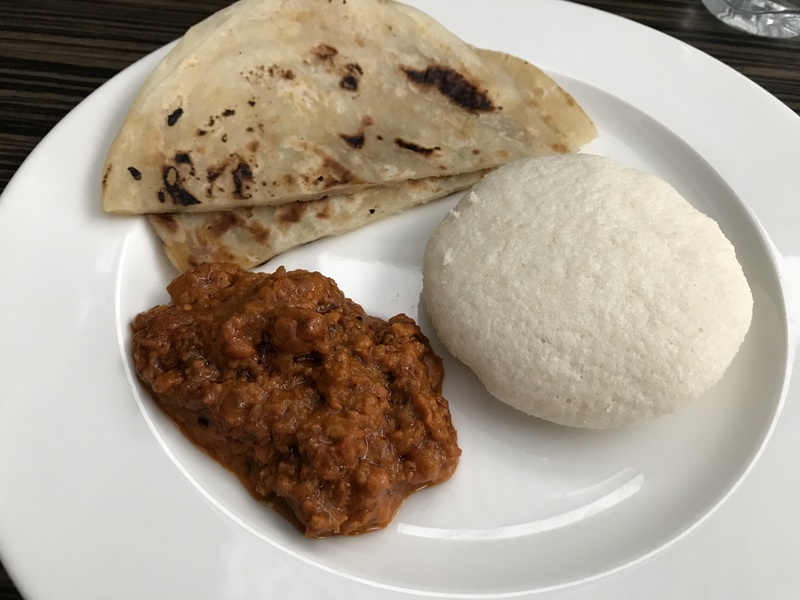 I had some idli, Paratha, and Kheema. 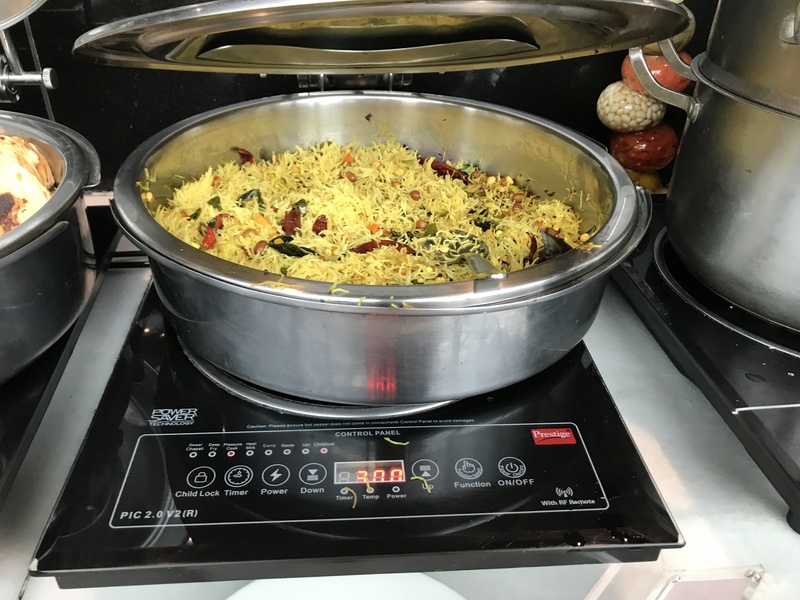 The Kheema was decent but too salty. 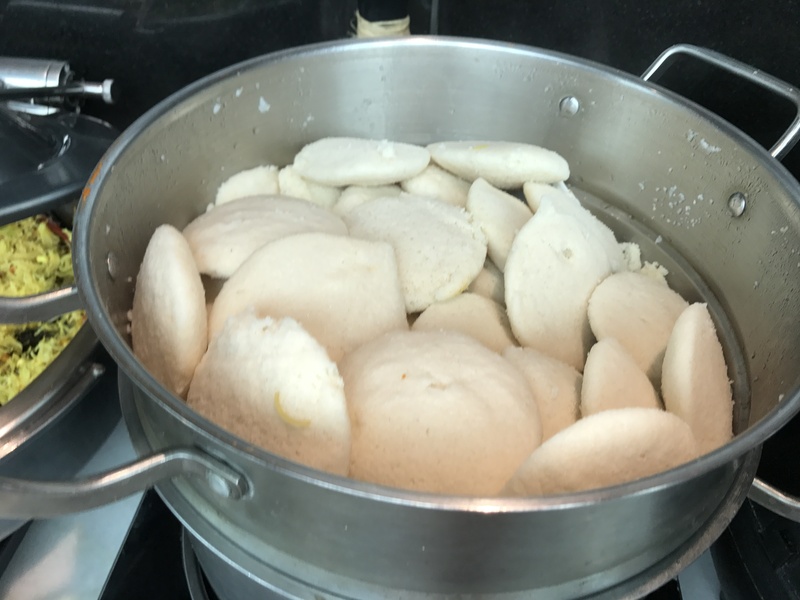 The idli was good, but its pretty hard to mess up idli so nothing impressive there. 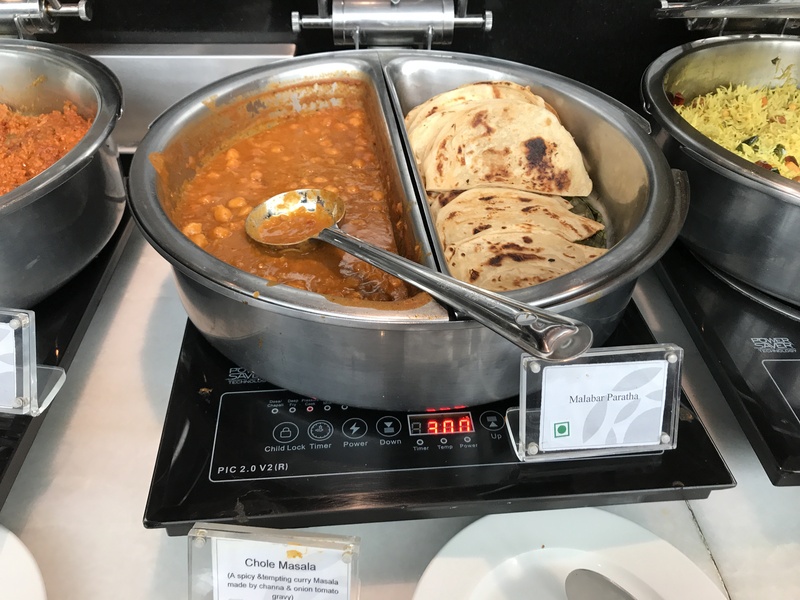 The naan was a little hard for what naan should be. 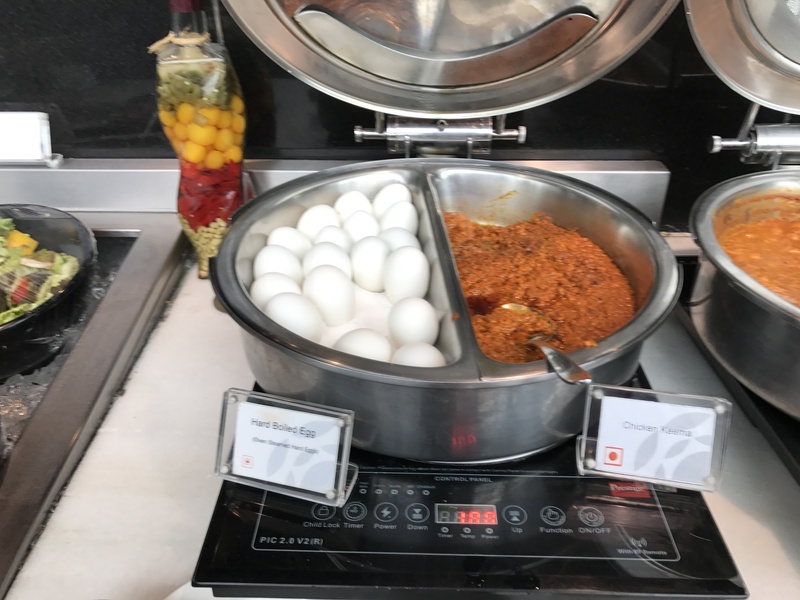 The food was alright, but nothing memorable compared to other lounges. 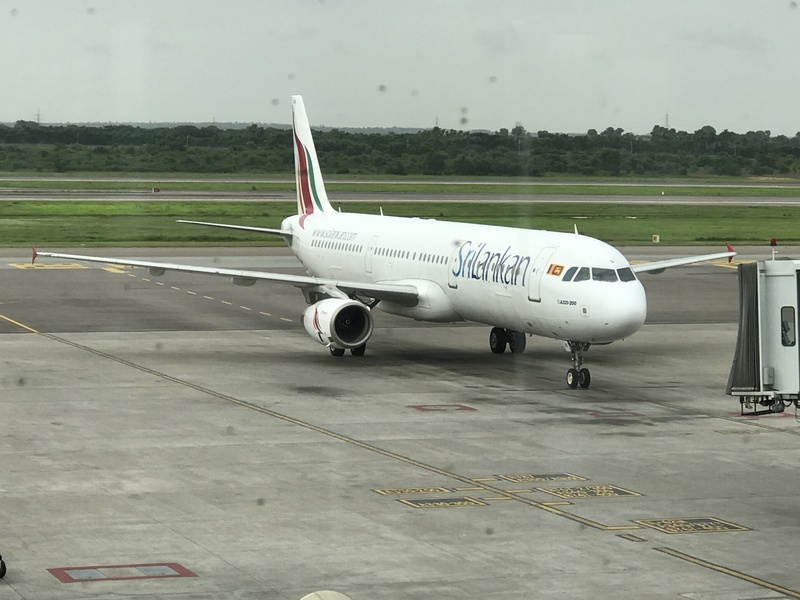 But I will emphasize again that for a one hour flight, this is certainly a nice offering whereas in the US you won’t get a lounge for a 6-hour flight in domestic first class. But my comparisons and ratings are in terms of what is expected out of food and amenities in a lounge. After eating a little, I explored the other parts of the lounge. 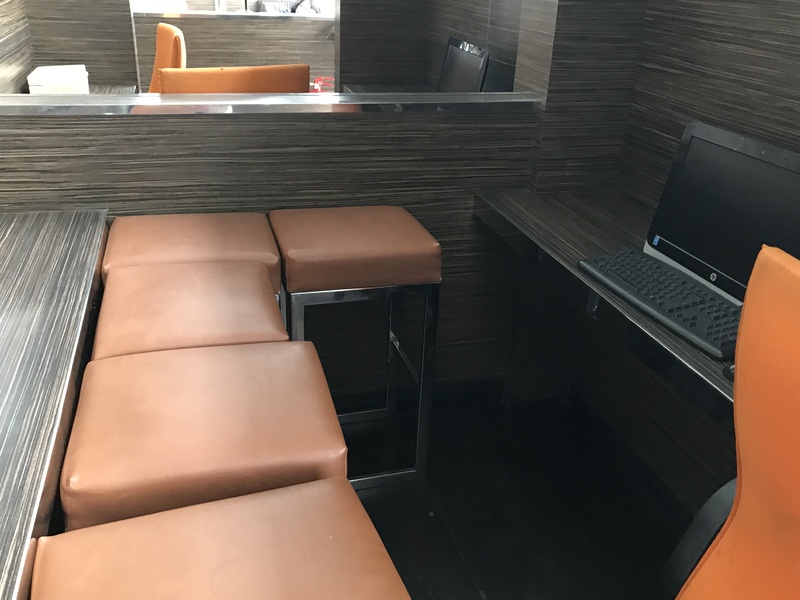 Here is a business center with some computers available for use. The restrooms were clean. 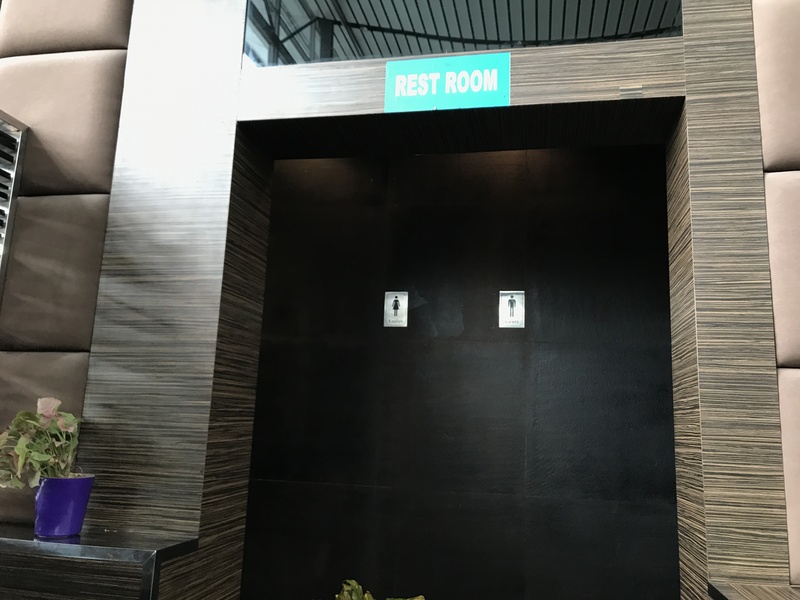 To the right is the men’s room and to the left is the ladies’s room and some sort of “spa room” as well. There were decent views from the lounge as well. And here is an overlook of the entire lounge from the elevator ride back up to departure level. Pretty small overall isn’t it? 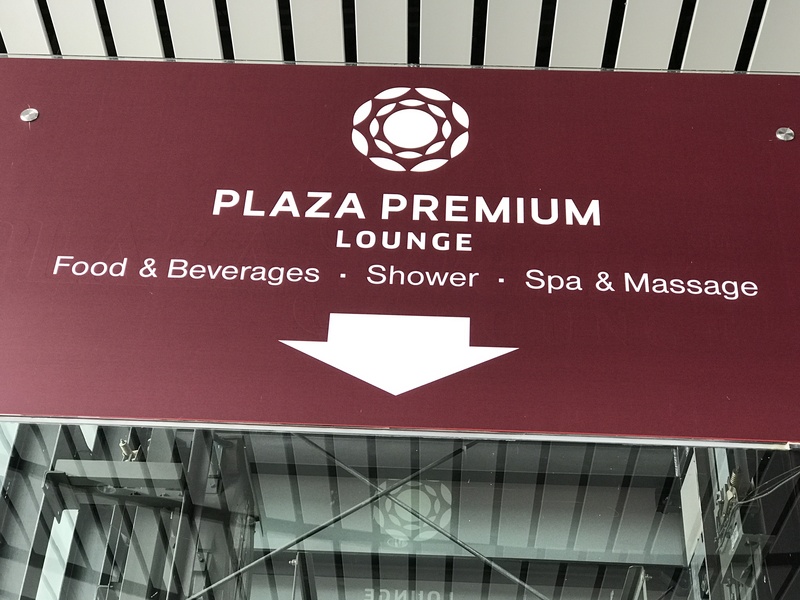 Overall, the lounge is everything you can expect from a plaza premium lounge. Alright, food and decent service. It provides most of the amenities you would expect in a lounge, though nothing above and beyond. 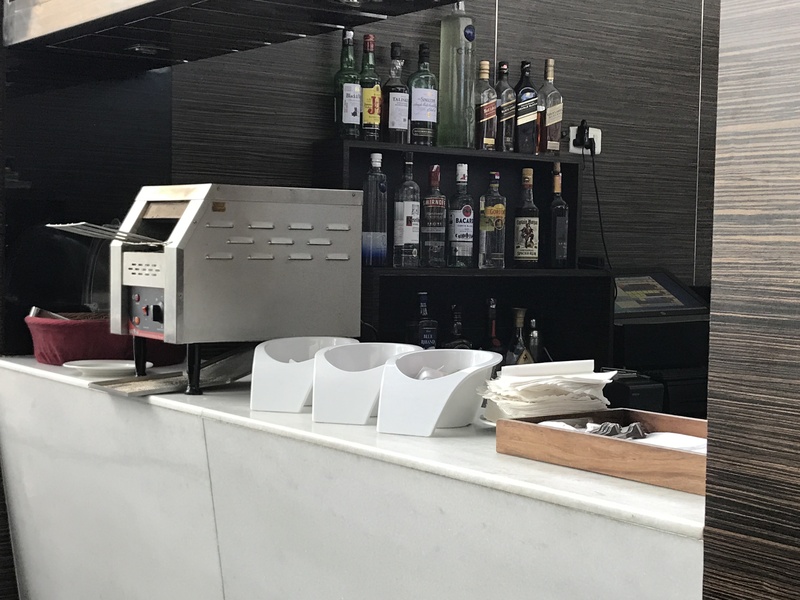 Is it a competitive lounge in the sphere of worldwide business class lounges? no. But is it a nice offering for a one hour flight in domestic business class? Absolutely! 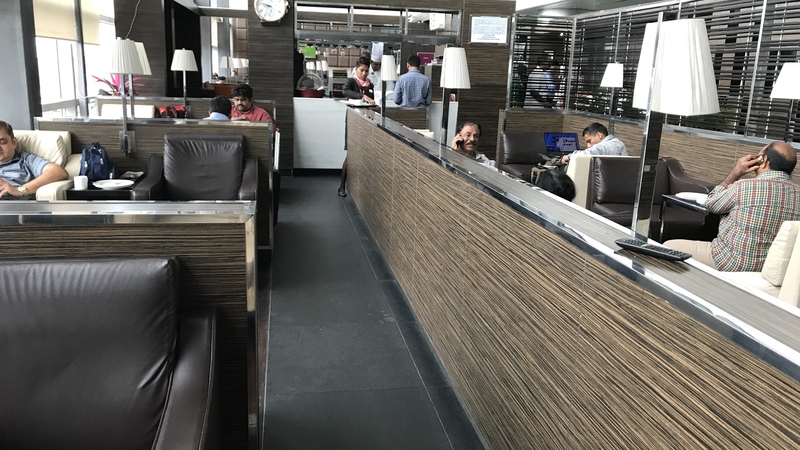 So kudos to Air India for giving passengers access to this lounge on domestic business class tickets.